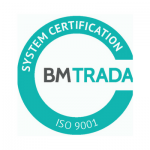 In 2005 Gariff Joinery & Construction were accredited BS EN ISO 9001:2000 for manufacture and construction works. The Quality Management System is maintained by a programme of internal audits with the aim of revealing improvement opportunities that enhance our efficiency and effectiveness. All system procedures and practices are regularly reviewed by top management through the management review process to ensure the effectiveness, capability and improvements required to meet the changing needs of our customers. Doors manufactured under the Q-Mark scheme offer our clients the peace of mind that they are purchasing fully fire tested door sets. 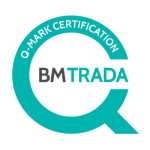 In addition, we are also registered Q-Mark doorset installers, so can offer full manufacture and installation certification on doors tested to up 1 hour. Our doorsets (30 and 60 minutes) have been tested by Chiltern International Fire and Test Certificates are available by request. 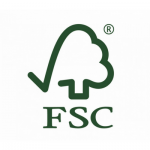 FSC® is an acronym for The Forest Stewardship Council whose mission is to promote environmentally appropriate, socially beneficial, and economically viable management of the world’s forests. Gariff are proud to advise that we have been given approval to pass on Chain of Custody and have been awarded our own personal Chain of Custody reference number: E37/TT-COC-002856. CoC certification provides evidence that a certified product such as wood, originates from certified, well managed forests, and verifies that these products are not mixed with those from uncertified forests at any point in the supply chain from forest to the consumer. On 19th December 2008, Gariff successfully achieved Achilles Building Confidence Programme Accreditation at Level 5. 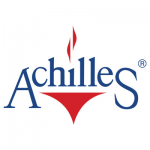 Achilles’ rigorous procedure includes a broad range of strict criteria pertinent to Health, Safety and Environmental practices which are fully assessed and audited in order to provide customers with benchmarked performance indicators. Our accreditation on this programme further reaffirms our dedication to providing a quality service to all our customers, in conjunction with our ongoing commitment to being a safe, socially and environmentally responsible service provider. Gariff became part of the Railway Industry Supplier Qualification Scheme in 2016 meaning we have been audited and assessed as a shop fitting supplier to the rail sector. This gives our clients the assurance that we have the capability and competence required for working in the railway industry. RISQS is industry-owned, sponsored by a board of representatives from across the rail industry and operates in an open, fair and transparent way. 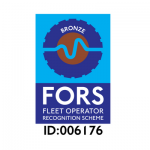 As of December 2014 Gariff were awarded a Bronze accreditation for The Fleet Operator Recognition Scheme (FORS), a voluntary accreditation scheme encompassing all aspects of driver & vehicle safety, fuel efficiency, vehicle emissions, tyre usage and improved operations. This confirms that we employ good practice and comply with the requirements laid out by the FORS Standard. FORS also helps Gariff to measure and monitor performance and alter their operations in order to demonstrate best practice. Since 2009 Gariff have been a member of Safety Schemes in Procurement (SSIP) using the Safe Contractor accreditation. 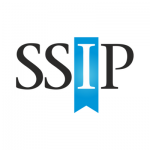 As an SSIP member we are fully committed to the vision of driving unnecessary cost and confusion out of supplier health and safety assessments. Our membership to SSIP gives our clients confidence that safety is always at the heart of our procurement systems and controls. Gariff have chosen to obtain the Safe Contractor accreditation under the SSIP scheme. 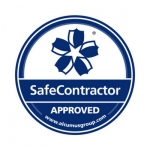 This safety accreditation is a pre-approval process that gives our clients the peace of mind that we have exemplary health and safety capabilities. We regularly review and audit our health and safety policies, procedures and documentation to ensure that we keep up with the changes in legislation and, the requirements of our supply chain.